Evenings in Bahirdar were pleasant. The promenade from Ethiostar to the mango park was full of huge palm trees and had very moderate traffic. The air was definitely cold and bracing but evening walks were not very strenuous and sweating was one unheard of. We could walk many kilometres without breaking out in sweat. 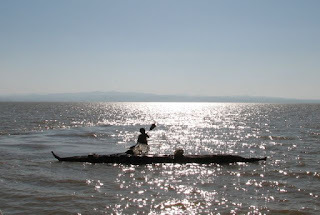 Lake Tana is the source of the Blue Nile and is the largest lake in Ethiopia. 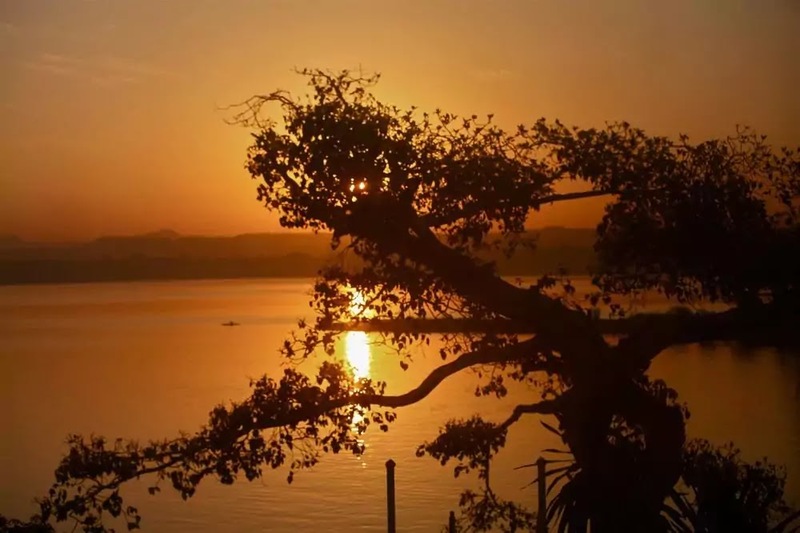 Lake Tana is approximately 84 kilometres long and 66 kilometres wide, with a maximum depth of 15 meters, and is at an elevation of 1,788 meters. Lake Tana is fed by the Lesser Abay, Reb and Gumara rivers. Its surface area ranges from 3,000 to 3,500 km². 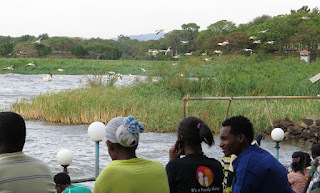 Mango park was a park that was created on the Lake Tana’s front. It was a park of decent size with a nice gallery facing the lake. Visitors could sit, relax, read a book, talk with friends or just nod off to sleep. There was also a paved path that meandered around the lake for visitors’ who wanted to walk and admire the lake. There was a small cafeteria that served cool drinks, tea, coffee and some snacks. A special attraction at the mango park was the pelican man. This Bahirdar resident popularly called the pelican man had been feeding the pelicans for many years and they had become incredibly tame and friendly. 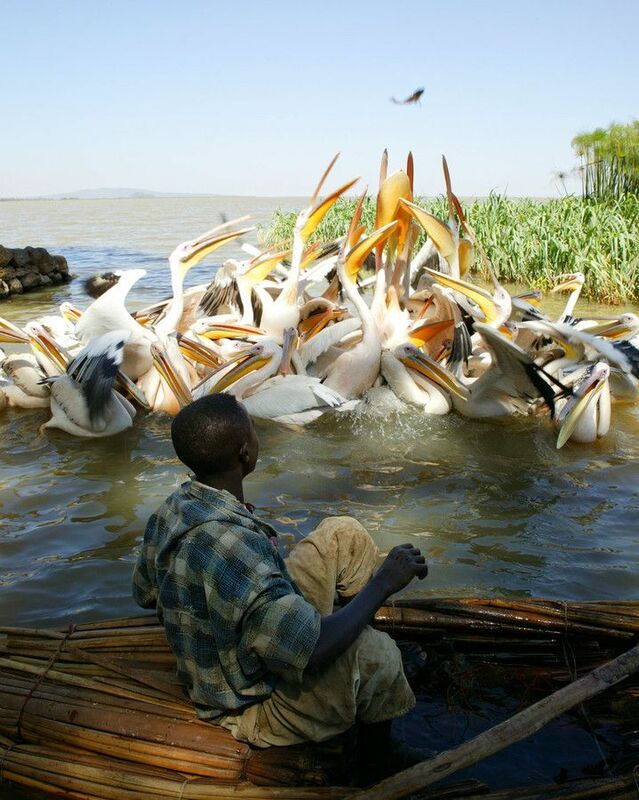 They would languidly swim close to the shore, their eyes always watchful to the arrival of their feeder – the pelican man. Woe betide a ignorant tourist who approach the pelicans at their feeding time to take their pictures. The pelicans would hungrily descent on the poor man and would rapidly put their very long and sharp beaks enquiringly in the pockets and then thrust their beaks wildly into the air. They would all the time keep squeaking loudly and complaining about the indignity and injustice meted out to them. This would amuse the locals to a great extent. 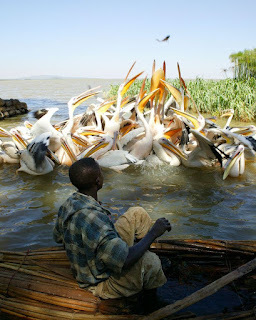 The pelican man was a very gentle soul and he would accept 5 or 10 birr as feeding donations with a disarming smile. 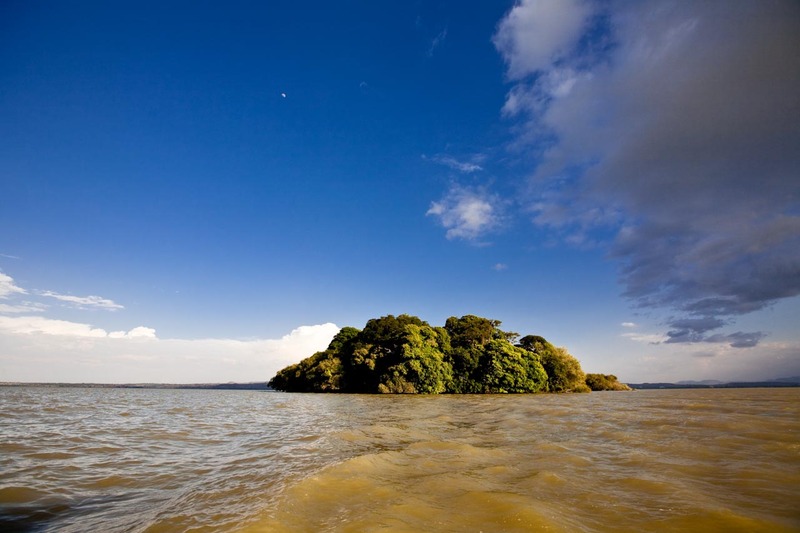 Lake Tana has many mysterious islands that host old and unique monasteries. These lake monasteries have ancient churches and museums that have a treasure of ancient holy books, crosses and other religious artifacts. Interestingly entry to some islands is only for men and for some other entry is only for women. The lake Tana Island monasteries could be visited by a boat and it would take a full day to cover all the islands. 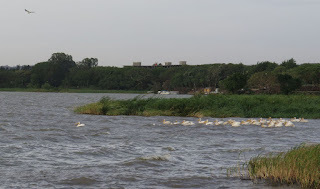 We could see noisy speedboats, slow moving launches carrying many Ethiopians to Dek, the largest island on lake Tana. The one thing always caught the eye was the small and the precariously fragile looking papyrus boat. Papyrus boats are made of tankwa weed. They looked very fragile but it was common to see as many as five people on a single papyrus boat. 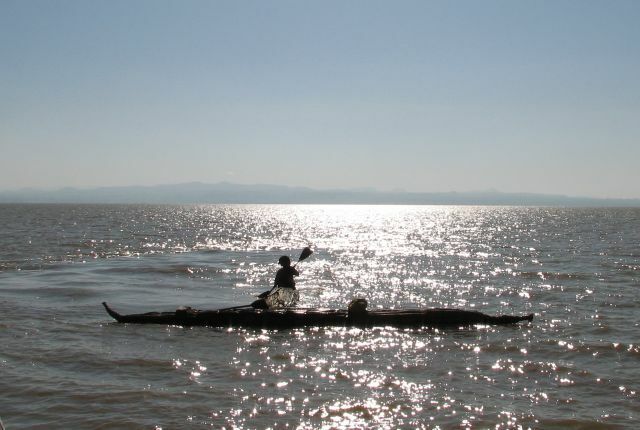 A lone wiry boatman fishing in lake Tana in the background of soft lyrical traditional Ethiopian music in the receding sunlight makes for an unforgettable experience.